Amateur Radio & the Maker movement! Becoming an Amateur Radio Operator? What is Foxhunting (Radio Direction Finding)? What is HF Digital Voice? What is the Amateur Position Reporting System (APRS)? This weekend was the first Project Horus activity for this year, when we teamed up again with LaunchBox to put a School payload aloft. The students designed a number of experiments and flew them in a payload chassis supplied/organised by LaunchBox. 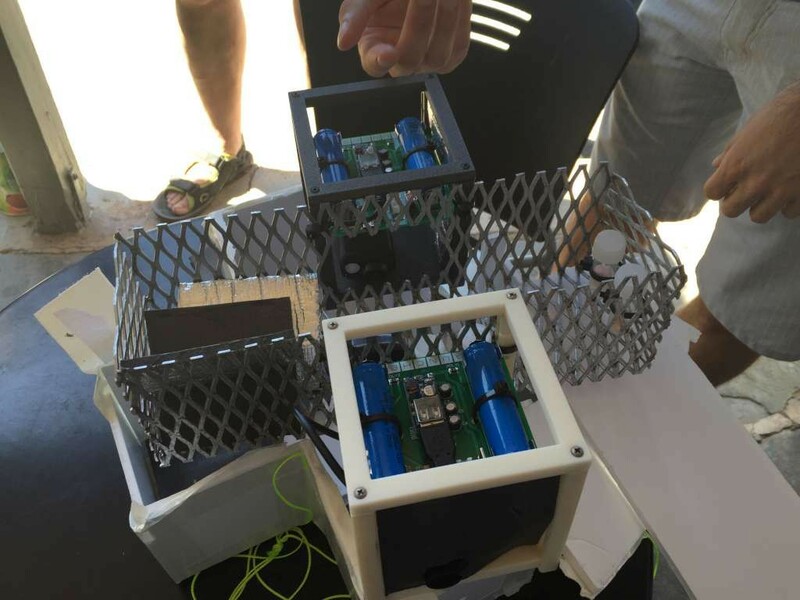 Project Horus then provided tracking telemetry payloads and recovery teams and vehicles plus flight engineering services to the LaunchBox team to enable them to get the student payloads aloft. The large turnout of students on a Sunday morning showed that there is still plenty of curiosity and interest in science in schools which is great to see! This was especially so considering the types of questions the AREG team was fielding, which bodes well for science education. Filling and launching went without a hitch, and the changes to the regulator and filling system that allowed the balloon to be filled in under 5 minutes was a welcome improvement! Thanks Dennis VK5FDEN for helping out with this. The flight was planned so that recovery would be relatively painless, with the target area being somewhere in the vicinity of Palmer in the Adelaide Hills. This level of control is only possible because of the flight tele-command capability that the team has devised, and plays a big part in the success of these flights for groups like LaunchBox. Another major piece of the puzzle was the tracking network. The primary telemetry this flight was based on a 100 Baud 7N2 RTTY signal on 434.450, with a backup trial system using LoRa modulation as an experiment. 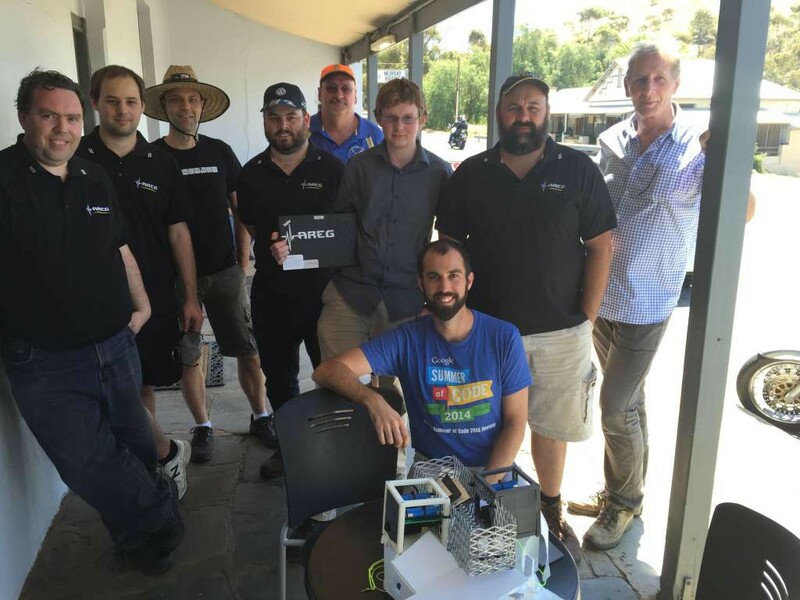 This telemetry, apart from being received in the tracking chase cars, is also collected by a large number of Amateur Radio ground stations across South Australia. These stations make a major contribution to the project through collecting and feeding the balloon telemetry into the Internet. This is then accessed from our chase vehicles over 3G/4G cellular links and adds to our own data. It is a great way of getting involved, even if you are not out in the field. Michael VK5ZEA and Peter VK5KX posted the following pictures of their setups and what they saw at various stages throughout the flight. Others contributing to the tracking included numerous stations in Adelaide; VK5ALX and VK5NEX in Whyalla, and VK3BQ, VK3SMC and VK3KCX in Melbourne. Recovery went smoothly with both chase teams waiting patiently for landing approximately 1km from touch down. After locating the land-owners and obtaining permission to enter their farm, we were able to walk in about 600m and collect the payloads. The day ended with the LaunchBox and AREG Project Horus chase teams meeting at the Palmer Hotel to hand over the payloads. A job well done everyone, and a great example of using Amateur Radio to further science education in this country! 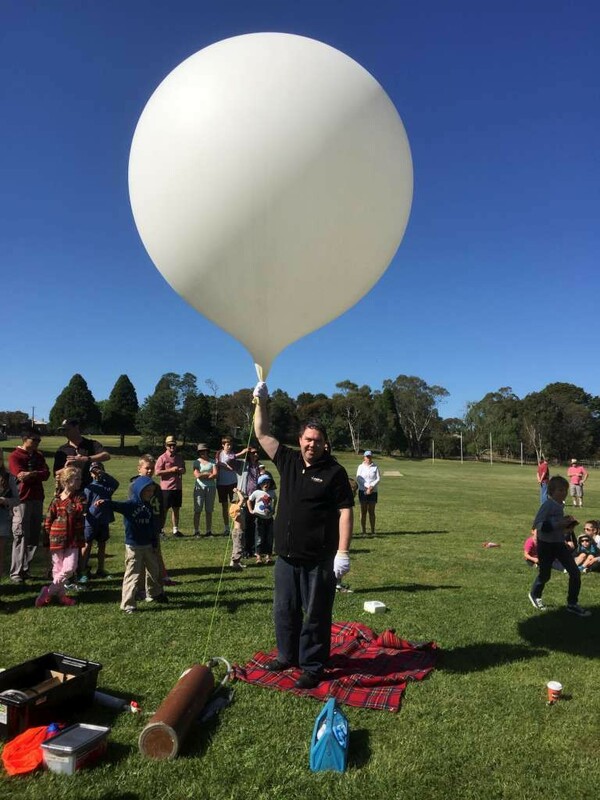 Again we must say a big thank you also to the HabHub.org community and the UK High Altitude Society who provide balloon tracking and telemetry collection services for projects such as ours across the world. Stay tuned in the new year as well as there are many more exciting things potentially happening with Project Horus being considered for 2016! This entry was posted in Club Activities, Club News, Project Horus by VK5GR. Bookmark the permalink.